Sidenor’s Turned Bars are used to manufacture all types of parts for the automotive, construction, mechanical engineering and energy industries and industry in general where a dimensional precision and finish is required. 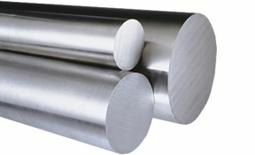 This surface condition could be applied to any steel family: free-cutting, carbon, alloyed, etc…. with or without any types of thermal treatments: quenched, annealed, spheroidized annealed, stress-relief, etc… based on the product requirements. Lengths from 3,000 to 9,000 mm per/thermal treatment. The turned bars may be supplied: without thermal treatment – stress relieved – annealed(sub critical, spheroidizing, isothermal) – normalized – quenched and tempered (conventional and induction) – hyper tempered (stainless steels). from 10mm to 125mm in diameter. Tolerance h9/h10/h11 in lengths from 2,800 to 7,000mm. Straightness between 0.5mm/m-2mm/m as specified. Package weight 1,000Kg/1,500Kg.